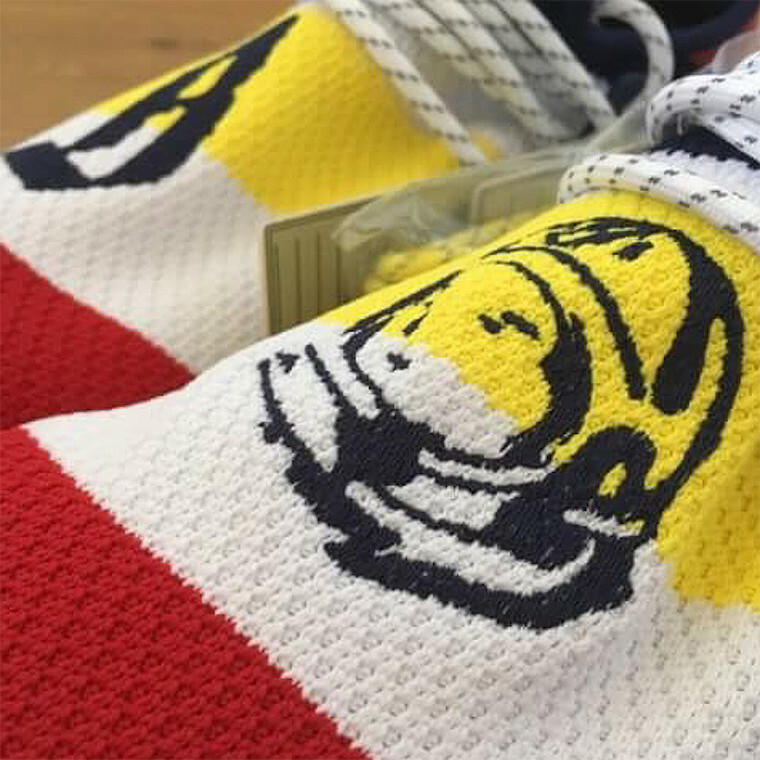 Billionaire Boys Club and adidas is collaborating once again during the Fall season. 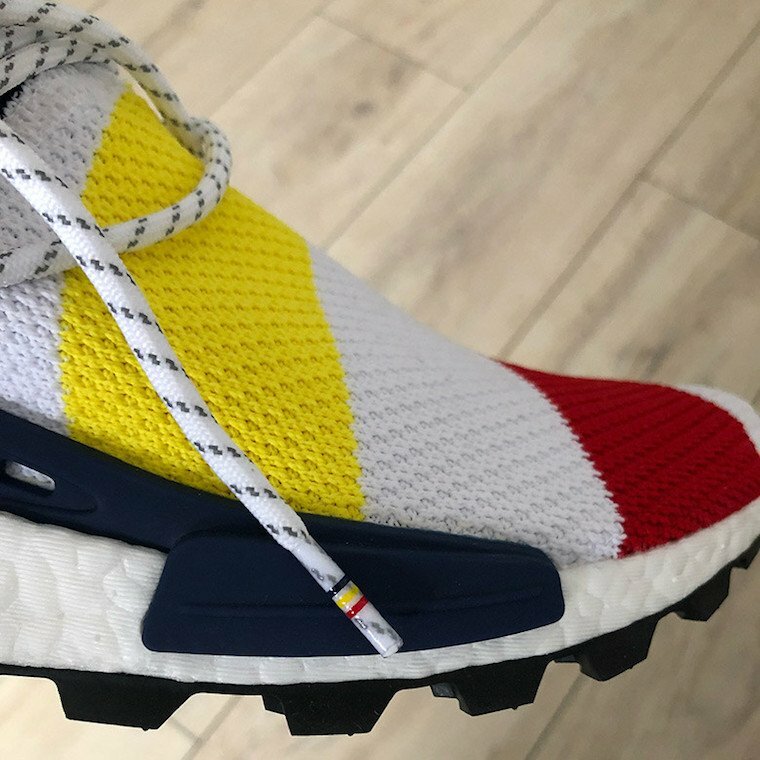 They will partner up on the adidas NMD Hu. 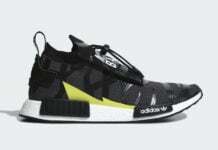 Both the model from adidas and brand (BBC) has ties to Pharrell Williams. 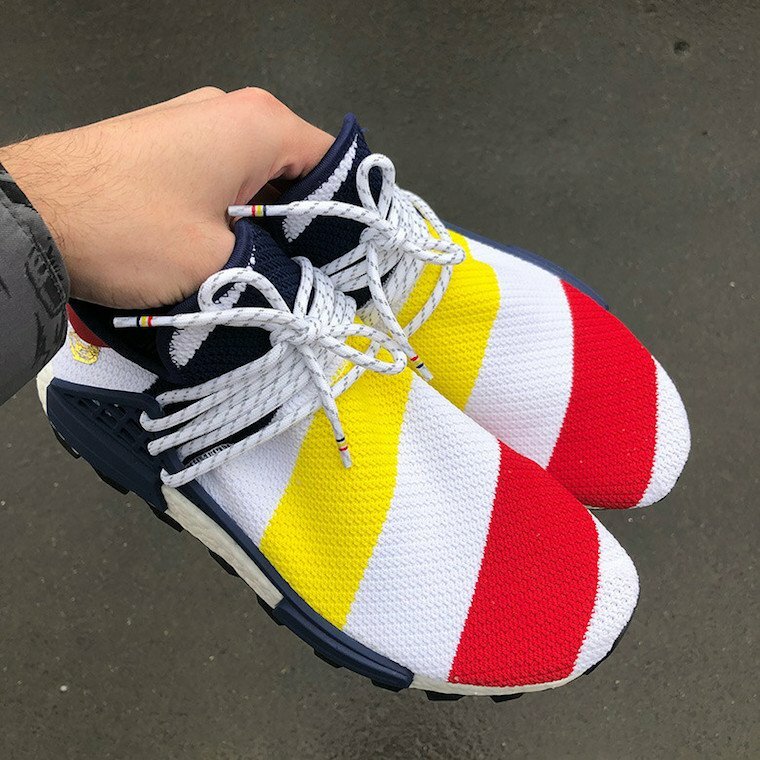 One of the upcoming drops of the adidas NMD Human Race is known as the adidas NMD Hu Trail ‘Heart/Mind’. 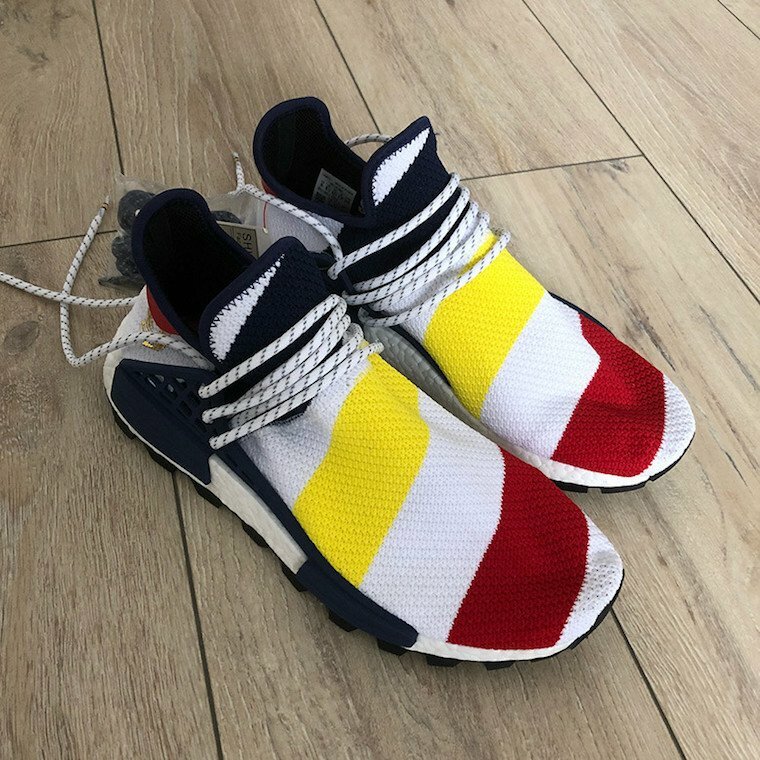 As you can see it features strips in White, Navy, Red and Yellow. 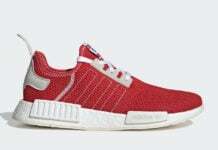 In addition we have both ‘Heart’ and ‘Mind’ on the front of the shoe while White covers the Boost midsole. 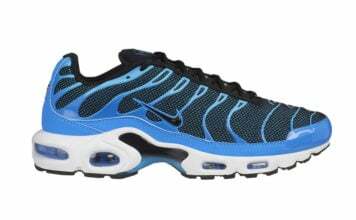 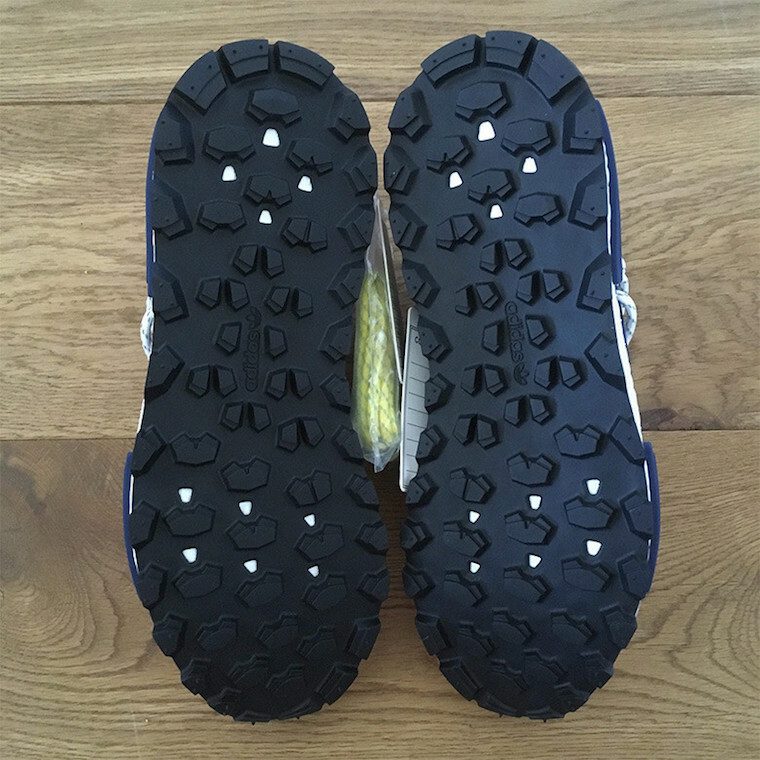 Other details includes Navy on the EVA overlays while Black lands on the trail rubber outsole. 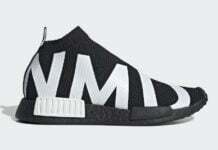 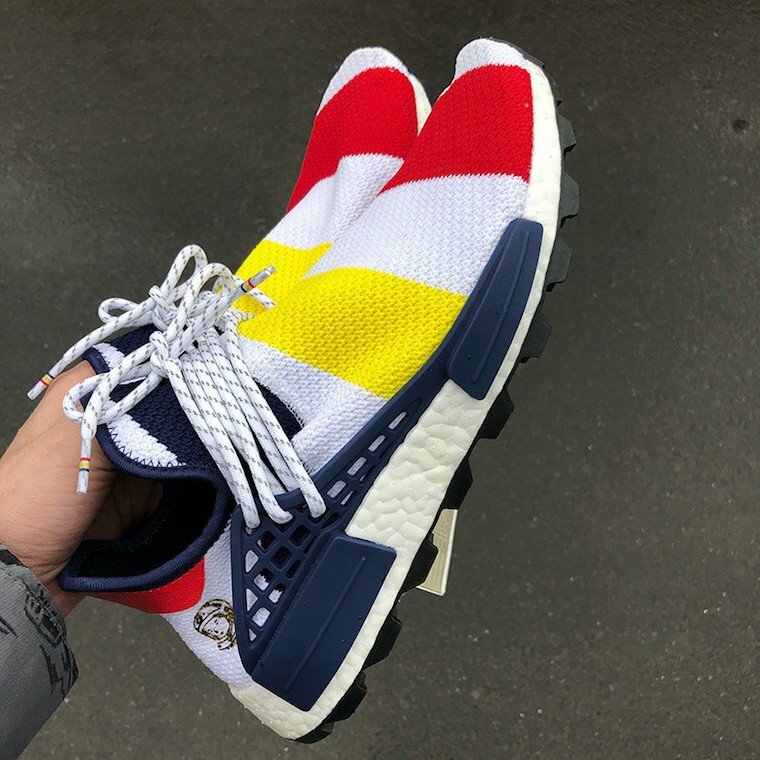 The BBC x adidas NMD Hu Trail Heart/Mind is scheduled to release at select adidas Originals retailers including online at adidas.com during October 2018. 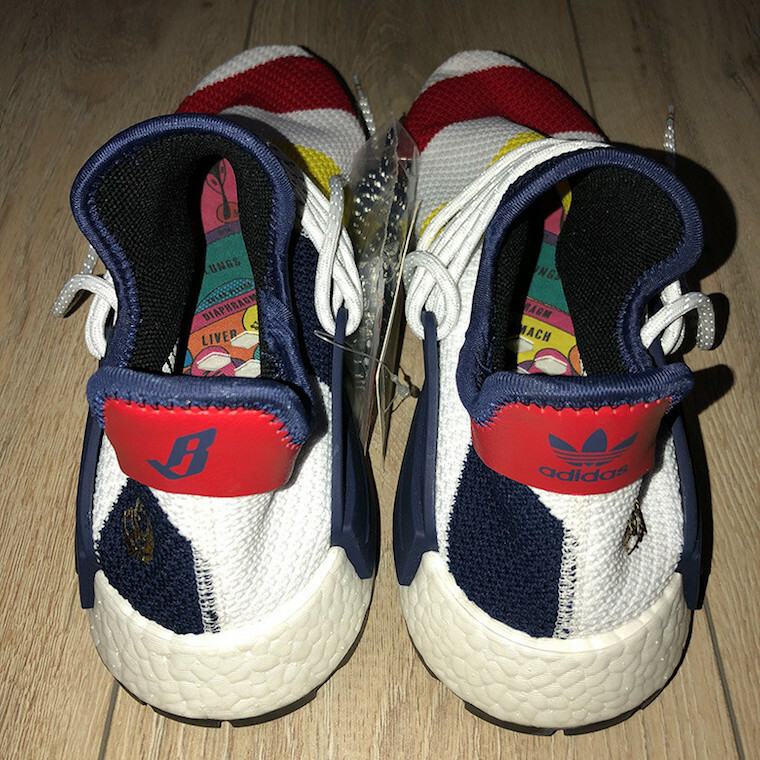 Once we have more information like a specific date and retail price, we will make sure to update you. 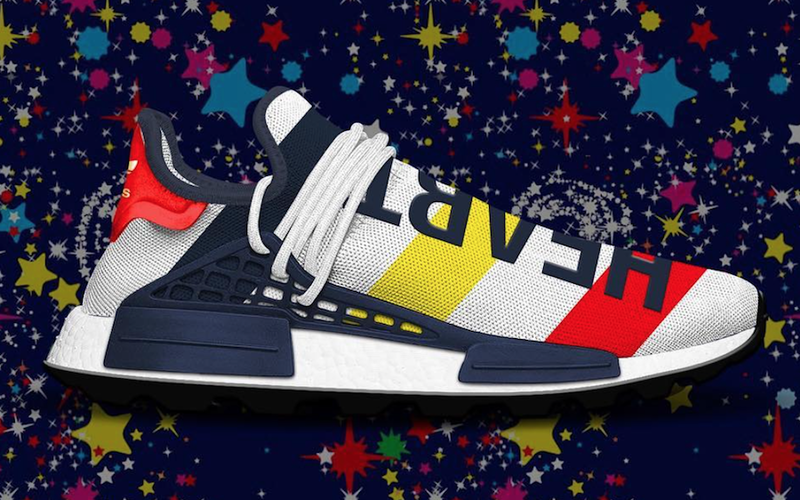 For now visit the comments section and let us know what you think. 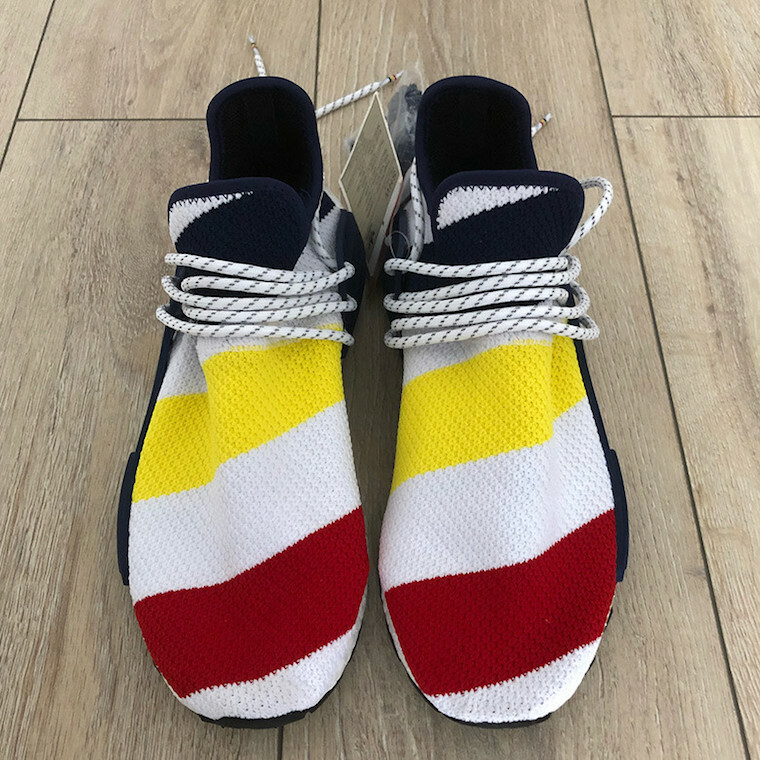 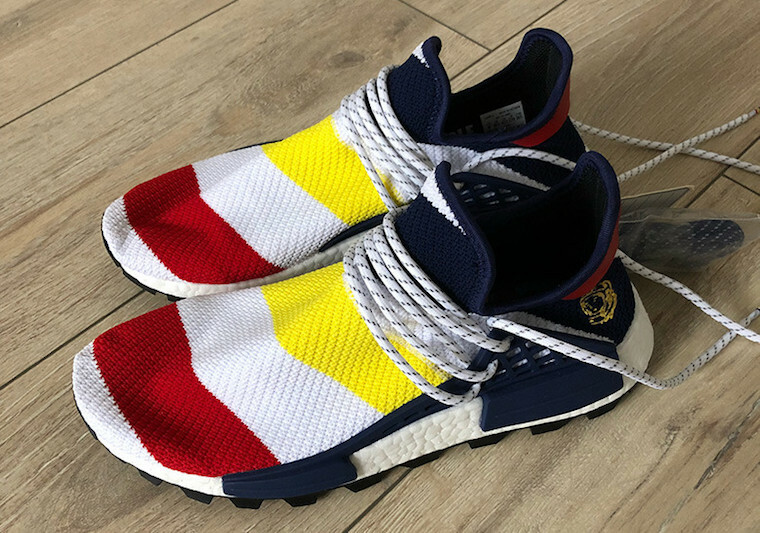 Update: We now have a look at the retail pair of the BBC x adidas NMD Hu via leodipeo. 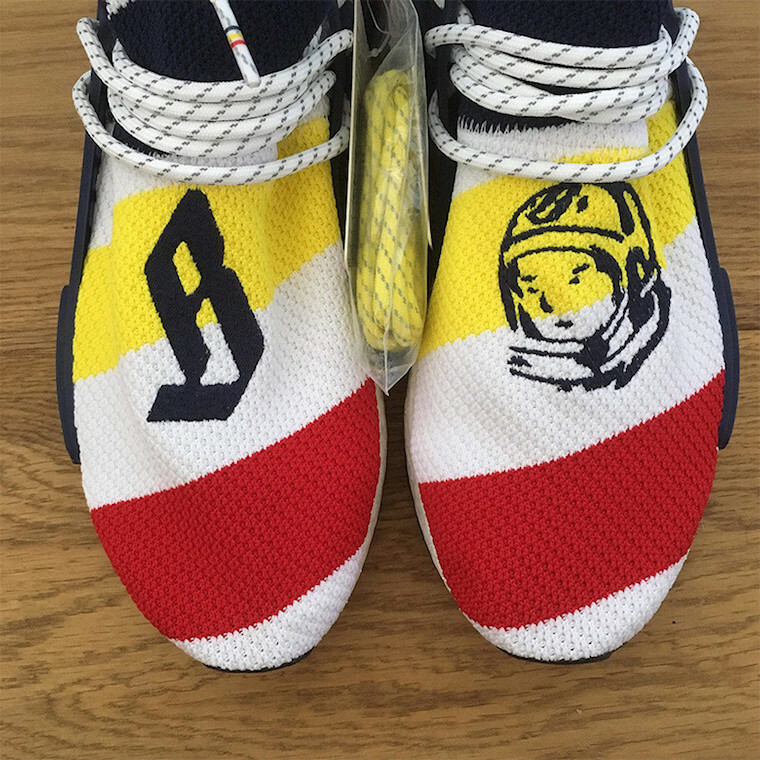 Prior to this we had images of the samples. 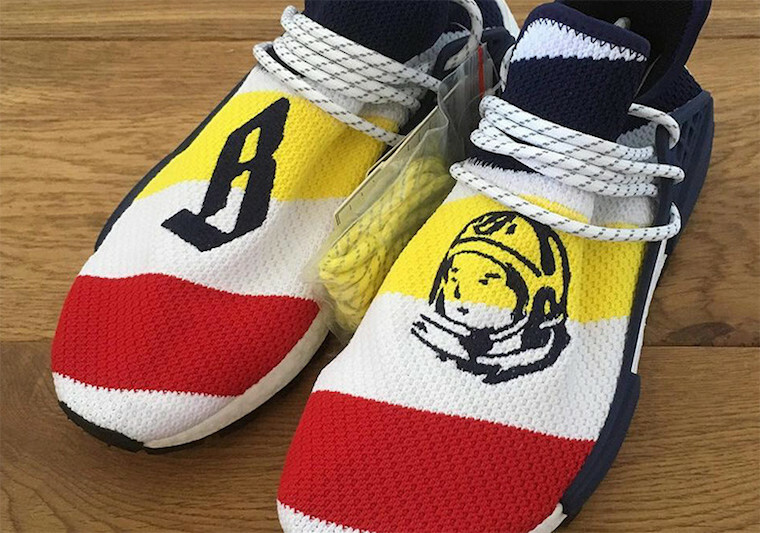 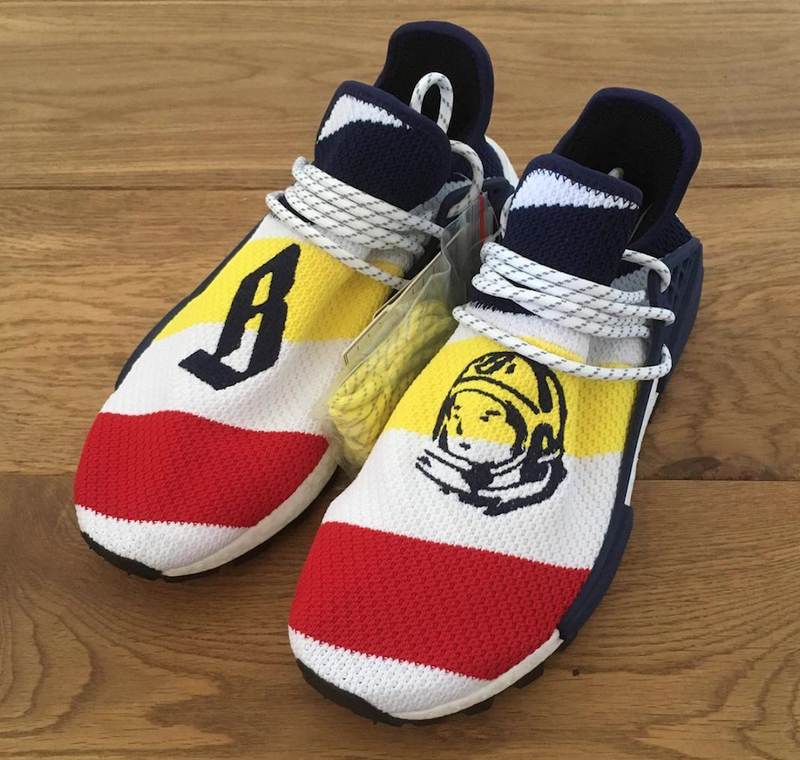 The retail release features BBC’s space theme helmet logo on the left shoe while a large ‘B’ is embroidered on the right. 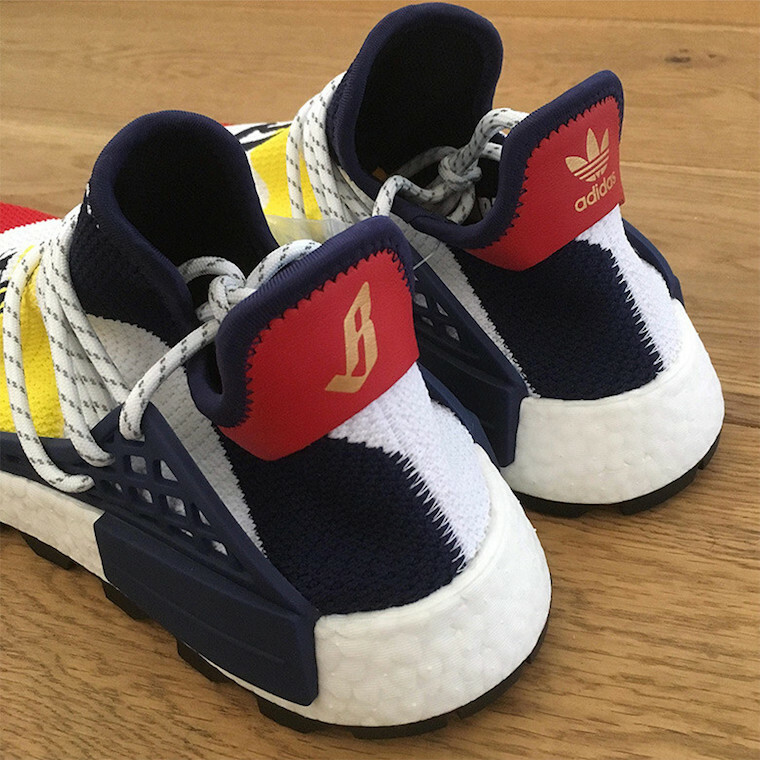 Update: Detailed look at the look-see sample of the BBC x adidas NMD Hu collaboration which doesn’t feature the writing going down. 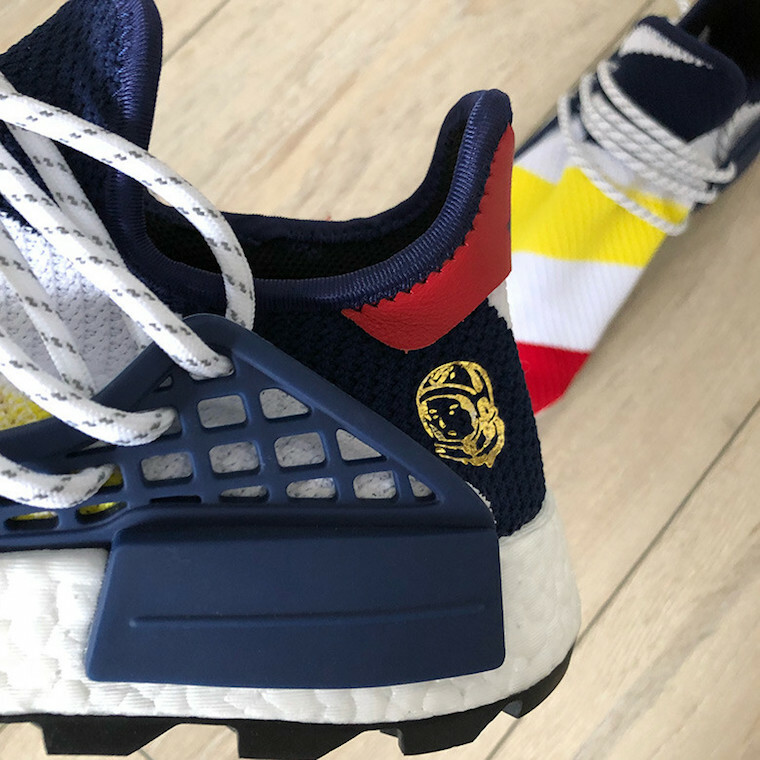 Via godlvl_.